Today is Amazon Prime SUPER-SALE DAY and I found us some awesome book “stuff” deals!!! <— AMAZON PRIME DAY SALES HAVE OFFICIALLY STARTED for TODAY ONLY!!!! 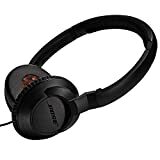 *sigh* I can’t believe I already missed out on the BOSE headphones… I wanted ’em SO BAD. Okay I’m stalking this all day now. I’m on a mission. Wicked WI8500 EVAC Headphone – Black <— Super-cheap! How can that be? Over 70% off! But not Bose. Should I get ’em anyway? *sigh* NEVER MIND… in my wondering if I should get them… they are ALL GONE TOO!! *gasp* I’m getting headphones if it’s the last thing I do!! 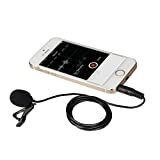 Movo PM10 Deluxe Lavalier Lapel Clip-on Omnidirectional Condenser Microphone for Apple iPhone, iPad, iPod Touch, Android and Windows Smartphones <— YAY!!!!! I GOT THIS!!! Good for me, ’cause I needed a mic at that last RT convention when I was interviewing authors. Of course it’s not “king of mics” or anything… but it will do nicely in a pinch when I’m at a noisy event. *happy dance* YAY ME AGAIN!!! Ohhhh I want that Roomba. I’ll feel guilty if I one-click that… won’t I? Ah well.. GONE! So what goodies might be book-relevant to us? I’m going to update the list all day (these are *some* that have been released in the past days as to what we can look forward to, but I’ve already seen a bunch of things throughout the early/just-past-midnight morning hours like a Nora Roberts audiobook, waterproof covers for iPhones (I need so I can read in the pool!!! ), earphones (for audiobooks) and so much more. Don’t even get me started on the non-book related goodies. I wanna play in all of that! Stay tuned, and I’ll keep us updated for book goodies! Or you can scan the list yourself throughout the day. Ela, the Bose headphones WERE Bluetooth. Waaaaaahhhhhh I’m crying! You never know though… they might come back, right? LOL!! My pleasure Cheryl. I will be stalking it all day… 🙂 I’m sitting here doing my book stuff anyway, so what’s one extra window open, right? OMG NOW I WANT HEADPHONES BUT I WANT BLUETOOTH AND WIRELESS!!!!!!!!!!! Last night I was stalking what time they’d finally be posted, and they were one of the items that was all “mysterious” of course. And I missed ’em. I saw ’em, went to buy ’em and it said 100% claimed. Deal over. NO NO NO NO!!!!! *still SOBBING* They’re not even showing them as Top deal of the day, maybe they’ll come back????? Ela… I think we might be in luck!! I see them!!!!!!!!!!!!!!!!!! But I’ll wait with you for the bluetooth!